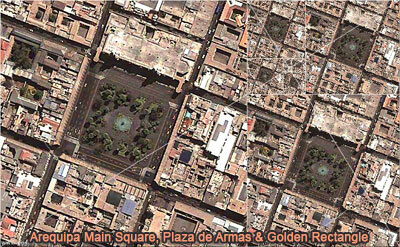 Arequipa is the capital and largest city of the province of Arequipa. Also known as the White City, it is the second most populous city in Peru, with 844,407 inhabitants according to INEI projections. Around 1170 the fourth Inca of Hurin Cuzco Dynasty, Mayta Capac, stationed with his army in an uninhabited valley which he called "Ari-quepay" (let's stay here), this Inca divided the land between three thousand families , who founded the villages or towns of Yanahuara, Cayma, Tiabaya, Paucarpata, Socabaya, Characato, Chiguata, and others. In Arequipa tourism is a factor of the economy energizing establishing itself as the third most visited city in the country after Cusco and Lima, in 2010 arrived in the city a total of 1.395 million visitors according to the Ministry of Commerce and Tourism.. Source: Wikipedia: Arequipa.